Our burger is grown not made. 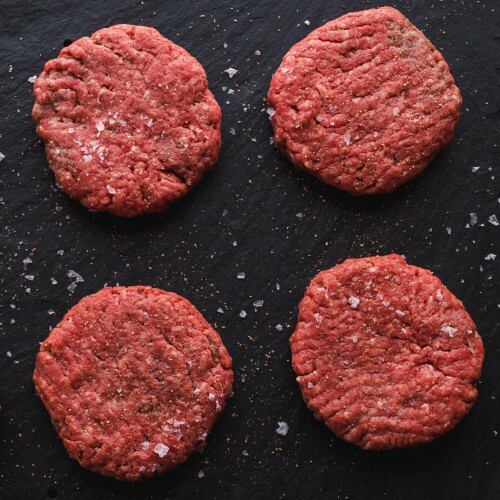 Longdale Farm is proud to offer burger patties made from whole cuts of all natural meat and trim. Our special grind includes a blend of some of the choicest cuts from the same cattle that create our exceptional steaks (unlike other ground beef on the market that is largely comprised of remnant meat from older, leaner cattle). Whole cuts of meat better retain fat and juice, creating a notable difference in tenderness and taste. And, our beef contains no additives of any kind. Like all of our cuts, the hamburger cooks far more quickly than conventional burger due to its high moisture content.